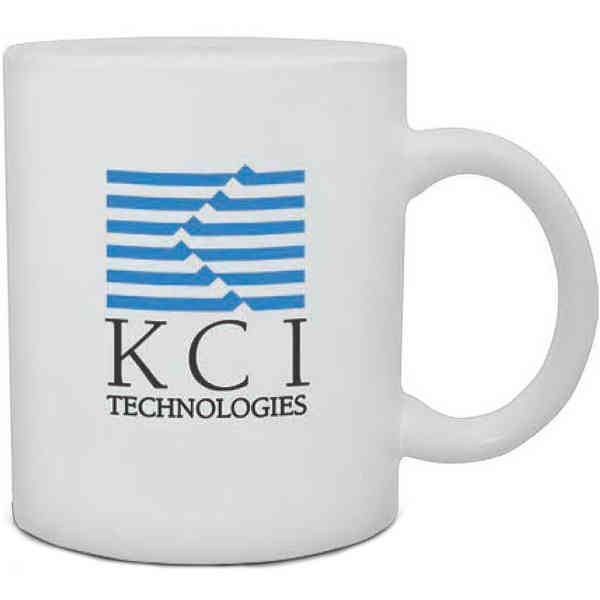 Product Option: Standard Service - The simple White Ceramic Mug is a staple in any kitchen. It measures 3.81" and holds 11 oz. for a look that will allow your company's logo to stand out. Your clients will love being able to sip warm, tasty coffee while holding onto the large handle. And they'll know exactly who made the moment possible when you screen print your logo to the side. Give these away at your next event to thank returning clients and bring in new ones!